Across the U.S., policymakers are scrambling to protect their communities from the effects of climate change. Rising water levels have already wrought havoc across the country. From 2000 to 2015, coastal "sunny day flooding," or flooding caused by high tides rather than storms, more than doubled on the Southeast’s Atlantic coast, according to the National Oceanic and Atmospheric Association. 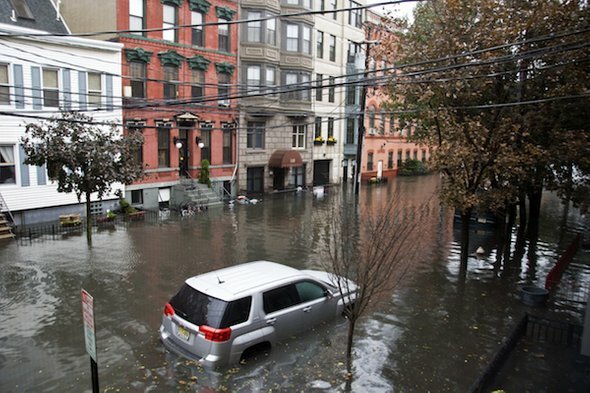 And it increased 75 percent on the Northeast’s coast. Worse still, our country is losing natural defenses against flooding. Between 2004 and 2009, 80,000 acres of U.S. coastal wetlands—which soak up flood waters—disappeared each year, largely as a consequence of development. Mangrove forests—which help block sea waters—are also declining, thanks to human activity. Mangrove acreage at Lake Worth near West Palm Beach, for example, has plummeted 87 percent within the past four decades, according to government data. Floods and storms will grow more intense in the coming decades. Computer modeling and visualization tools can help us identify the weakest links and plan strategically. Consider work by researchers at Texas A&M University. They conducted a simulation of Southeast Florida that demonstrated how rising seas will damage the road network. It found that installing water pumps now would save money in the long run. Another analysis showed the effects of saltwater intrusion on water wells and identified which wells were in need of upgrades.